Open access refers to online research outputs that are free of all restrictions on access and free of many restrictions on use - certain copyright and license restrictions. Open access can be applied to all forms of published research output, including peer-reviewed and non peer-reviewed academic journal articles, conference papers, theses, book chapters and monographs. Open Access section contains information on a variety of electronic resources - e-journals and e-books, encyclopedias and dictionaries, institutional repositories database, as well as search engines and other scientific information resources. Abbreviations.com is the world's largest and most comprehensive directory and search engine for acronyms, abbreviations and initialisms on the Internet. Cambridge University Press has been publishing dictionaries for learners of English since 1995. Wikipedia is a free online encyclopedia and is the largest and most popular general reference work on the Internet. For more than 150 years, in print and now online, Merriam-Webster has been leading and most-trusted provider of language information. 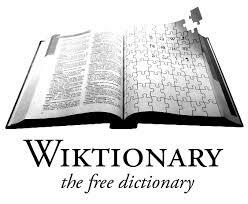 Wiktionary is a multilingual, web-based project to create a free content dictionary of all words in all languages. The Baltic Journal of Economics is a peer-reviewed scientific journal in economics. It is published jointly by Stockholm School of Economics in Riga (SSE Riga). Academic Journals is a broad-based publisher of peer-reviewed open access journals. Academic Journals currently publishes 111 open access journals covering broad fields. A leading ePublishing platform, HighWire Press facilitates the digital dissemination of more than 3000 journals, books, reference works, and proceedings. SAGE Open is an open access publication from SAGE. It publishes peer-reviewed, original research and review articles in an interactive, open access format. Taylor & Francis Group is an international company originating in the United Kingdom that publishes books and academic journals. OAPEN is dedicated to open access, peer-reviewed books. OAPEN operates two platformsv - the OAPEN Library and the Directory of Open Access Books. Wikibooks is a wiki-based Wikimedia project hosted by the Wikimedia Foundation for the creation of free content textbooks and annotated texts that anyone can edit. The primary aim of DOAB is to increase discoverability of Open Access books. Academic publishers are invited to provide metadata of their Open Access books to DOAB. Knowledge Unlatched vision is a sustainable market where scholarly books and journals are freely accessible for each and every reader around the world. The OpenAIRE project, in the vanguard of the open access and open data movements in Europe was commissioned by the EC to support their nascent Open Data policy by providing a catch-all repository for EC funded research. Apollo (previously DSpace@Cambridge) is the University of Cambridge’s institutional repository, established in 2002 as a service for storing and providing access to the outputs of Cambridge’s research activity. OpenThesis.org is a searchable thesis & dissertation database which helps to increase the availability and utility of these important documents. Open Access scientific production of the European Research Area, providing cross-links from publications to data and funding schemes. This large-scale project brings together 41 pan-European partners, including three cross-disciplinary research communities. OpenDOAR provides a quality-assured listing of open access repositories around the world. OpenDOAR staff harvest and assign metadata to allow categorisation and analysis to assist the wider use and exploitation of repositories. EconBiz is a search portal for economics and business studies. It offers: A literature search across important German and international databases; Access to full texts on the internet, a calendar of events for scholarly conferences and summer schools the reference service Research Guide EconDesk which answers your questions about the search for literature and statistical data. Microsoft Academic Search is a free public search engine for academic papers and literature, developed by Microsoft Research for the purpose of algorithms research in object-level vertical search, data mining, entity linking, and data visualization. We Would Love to Have You Visiting our Library Soon!